Packers rookie RB Eddie Lacy, already nominated for Rookie of the Week, is also up for the NFL’s Ground Player of the Week following his 94-yard, one-TD performance at the Metrodome last Sunday night. The other nominees are Arizona RB Andre Ellington and Detroit RB Reggie Bush. 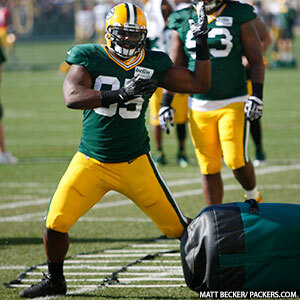 Lacy won the award once earlier this season, in Week 6 following his 120-yard rushing day vs. Baltimore. Packers rookie RB Eddie Lacy has been voted the Week 6 Ground Player of the Week following his 23-carry, 120-yard performance in Green Bay’s win over Baltimore last Sunday. Lacy became the third Packers running back to top 100 yards in a single game this season, and he also has a 99-yard game to his credit, as the Packers rank fifth in the NFL in rushing yards per game and third in yards per carry. 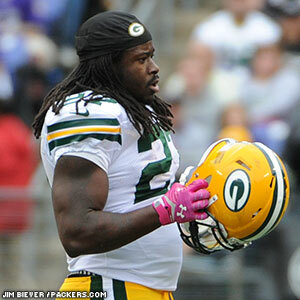 Green Bay Packers RB Eddie Lacy has been nominated as Week 6’s NFL Ground Player of the Week. 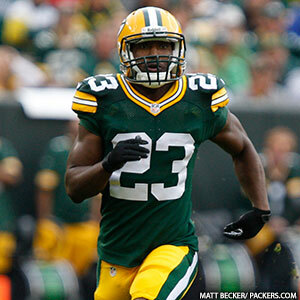 Lacy rushed for a career-high 120 yards on 23 carries in the Packers’ 19-17 victory over the Baltimore Ravens. Lacy became the third different Packers running back to top 100 yards this season. Late runs by Lacy helped the Packers close out the game. The vote is in your hands. 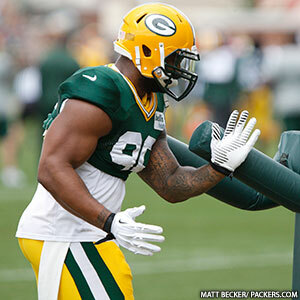 Cast your vote for Lacy on NFL.com.